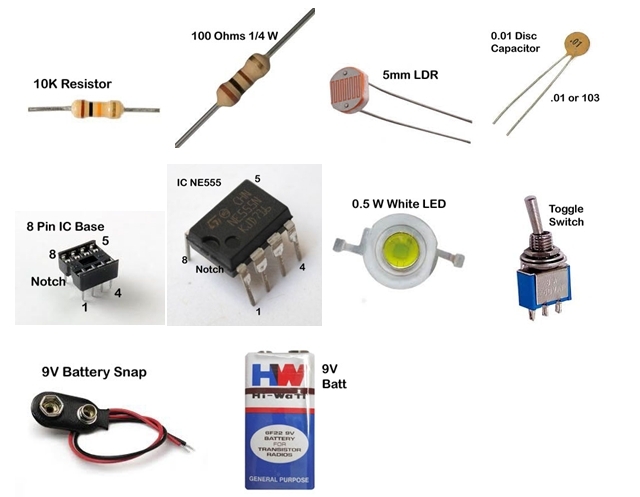 Light Dependent Resistor (LDR) is used as the light sensor. It is a kind of variable resistor and has very high resistance around 10 Meg in dark and as low as 100 Ohms in light. 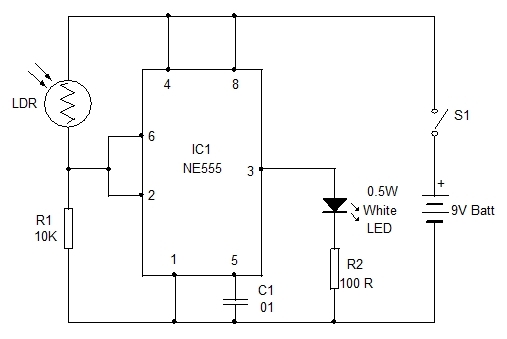 IC NE 555 is the popular Timer IC which is wired as a Bistable that works like a Toggle switch. That means, its output remains high or low based on the voltage level in its Threshold pin 6. When the LDR is exposed to the Room light, it conducts and keeps the Threshold pin 6 and Trigger pin 2 of IC1 high. As a result, the output pin 3 remains low. 0.5 W LED connected to the output pin 3 of IC1 remains off. Resistor R1 adjusts the sensitivity of LDR and resistor R2 limits the LED current to 90 Milli Amps. When the power fails, room light turns off and room turns dark. As a result, the resistance of LDR increases and the current through it drops. Pin6 and Pin2 of the bistable turns low. This suddenly makes the output of IC1 high to light the White LED. 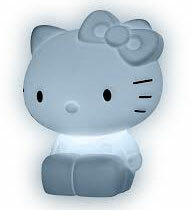 When the room light returns, condition reverses and White LED turns off.0.5 Watt White LED gives sufficient light in the room even for the reading purpose. Assemble the circuit on a small piece of common PCB and enclose in a small case. White LED should be fixed outside the case. Fix the Toggle switch on the case for on/off purpose. If it is enclosed in a Doll or Toy , the Kid will be happy.